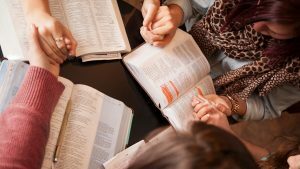 What is the purpose or goal of a Covenant Group? In one sentence, the purpose is to walk together toward Jesus Christ, being made into his likeness. The goal is that each member would develop a closer, daily walk with God: a Jesus-shaped and Spirit-filled life. single gendered groups with up to 7 persons who meet for one hour each week. where Christians reflect on and give an account of their own spiritual life in an effort to be more intentional in their relationship with the Lord. guided by the covenant the members write together. where Christians listen to each other and do not try to fix one another. Members hold fast to the conviction that only the Holy Spirit can bring transformation, and though we can ask each other questions, giving advice is not the answer unless you are asked for advice. Small Groups that focus on mutual accountability and support for discipleship are the “method” of Methodism. These groups have their roots firmly planted in the tradition of John Wesley. All too often we focus on simply allowing God to transform our understanding, and leave off the other two areas. These groups create an environment in which the Holy Spirit can transform our actions and our desires. Covenant groups help people grow into loving God with all their heart, soul, mind and strength and into loving their neighbor as themselves. They are a proven and effective way of forming leaders in discipleship who help people live out God’s mission with Christ in the world. Are there leaders of these groups? Yes and no. It is good to have a leader who organizes and makes sure things get going, but it is best when everyone in the group has buy in and chooses to participate. The most important thing a leader can do is lead in sharing time and be vulnerable, which sets others free to share openly. 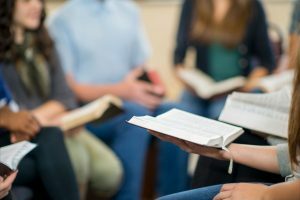 How do I get involved in a Covenant Group? I’m glad you asked! If you are interested please contact St. Luke Director of Adult Discipleship: John Duff by emailing him at jduff@stlukeumc.org or by giving him a call at 869-269-4687 ext. 240. Feel free to stop by his office to chat about a joining an existing group or starting a new one with people you already have in mind.